The Refined Geek » Curiosity Lands on Mars: The Deepest Investigation Into Mars’ Past Begins. 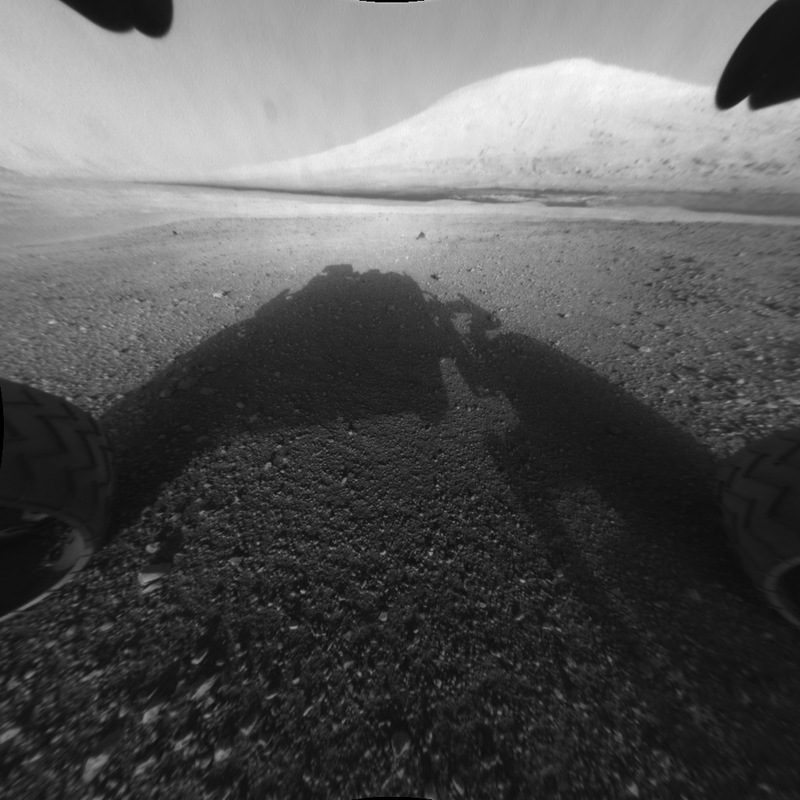 Curiosity Lands on Mars: The Deepest Investigation Into Mars’ Past Begins. Whilst scientists and engineers aren’t the most superstitious of people emergent, inexplicable patterns can still make them uneasy in much the same way. The Mars Curse is one such pattern that has seen half of the missions that were destined for our red sister fail in some way, either in transport or shortly after arriving at their destination. You can then imagine the tension that the Mars Science Laboratory (commonly known as the Curiosity rover) team experienced as they started to make their final approach to Mars, especially considering how complicated their landing had to be. Yesterday saw the rover touch down safely on the Martian surface, much to the joy of everyone involved and those of us who were watching on. For the first couple of days Curiosity is going to be spending most of its time validating systems and ensuring that communications back to Earth are stable. For those of you who were watching the live feed those first few images we saw came via the Mars Odyssey orbiter, the very same orbiter that’s responsible for relaying all the data from them previous generation of Mars rovers. Curiosity has the capability to deliver a lot more data than those two little rovers combined and whilst Odyssey could relay that back it’s much more advantageous to use the higher bandwidth connection on the Mars Reconnaissance Orbiter even if it has to cache the data before sending it (hence why the MRO didn’t beam the first pictures back, it would’ve taken too long). All of the pictures we’ve seen so far have been from underneath the rover and that’s primarily due to the system verification that’s taking place. The images come from the hazard cameras mounted on the underside of Curiosity and traditionally they’ll be used to identify potential obstacles so that the rover can navigate around them. This is why they’re not colour nor particularly high resolution but the good news is that Curiosity has probably the most impressive imaging hardware of any rover to date just waiting to be turned on. Probably the most exciting part about Curiosity’s main camera is the fact that it will be able to capture true colour images, something that past rovers have had to fudge with coloured filters and post processing (which get close, but aren’t true to life). Curiosity’s mission is to investigate Mar’s past and see how conducive to life it might have been. It’s not directly looking for life on Mars, that kind of mission would require a whole other set of dedicated tools, but what it’s looking for are what we believe are the precursors for life as we know it. Additionally Curiosity will asses Mars’ current and past meteorological conditions, both for pure scientific reasons and also to provide information to possible future manned missions to Mars, something which SpaceX has expressed a keen interest in accomplishing within the next decade. Considering the size of the total payload, almost 900KG, I’m sure it will have no trouble accomplishing its primary mission and quite possibly much more thereafter. Curiosity’s power source is a Radioisotope Thermoelectric Generator that’s quite capable of powering the rover for its planned 1 Martian year mission. Now whilst it might not have the solar panels of its predecessors its internal generator is good for 14 years at up to 80% of its peak power production meaning that Curiosity could well give Spirit and Opportunity a run for their money in terms of longevity. Considering just how many instruments are aboard this rover I can see an extended mission proving extremely valuable both in scientific terms as well as becoming the next symbol of NASA’s prowess when it comes to building amazing machines. A friend of mine asked me this morning if I still had a smile on my face courtesy of NASA and in all honesty I did. I shed a tear when I heard the words “touch down” and shared in the revelry that went on in the Mission Support Area via the NASA TV live feed and just writing that sentence out was enough to bring back the feeling of excitement and joy I felt back then. Curiosity’s mission has only just begun but I can’t help but feel that its been a major success for all involved and I eagerly look forward to everything that this giant rover has to bring us. It’s a great time for science, space and humanity.